I adore LUSH over the festive period. The store smells even more beautiful than usual and there are lots of limited edition products to try. 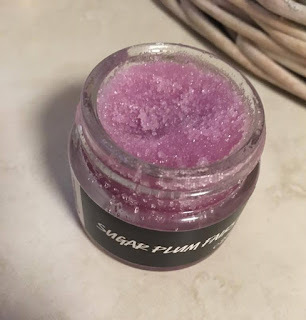 One that I've been using lots recently is the Sugar Plum Fairy Lip Scrub. I suffer from dry lips all year round but especially in the winter time. 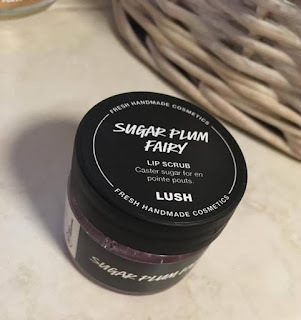 I usually use the Bubblegum Lip Scrub which is also by LUSH but I spotted this one which is new for Christmas this year and had to give it a try. LUSH's lip scrubs work wonders, definitely give them a try if you have dry lips like me. Even if your lips are not noticeably dry, they are really good to use before applying matte liquid lipstick or even normal lipstick as the product goes on so smoothly after giving your lips a little scrub and I find that my lipstick lasts longer too! 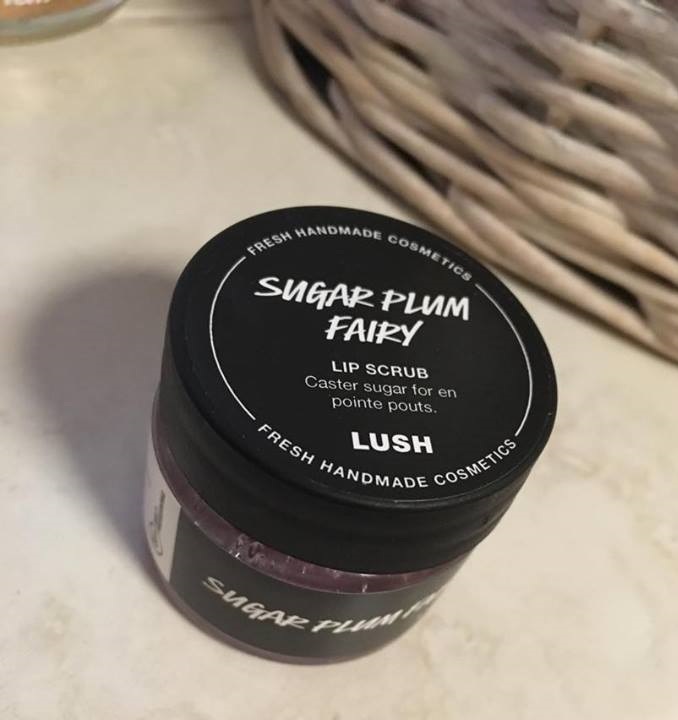 The scent of the Sugar Plum Fairy Lip Scrub reminds me of the Comforter which is one of my fave bubble bars. The best way that I can describe it is like a kind of sugary blackcurrant scent. It's so lovely and it tastes yummy too. This product works wonders on my lips - I will definitely stock up on a couple of these before the season ends as the scent is gorgeous and, honestly, the product just makes me smile!